Check out the US Biathlon Promotional Video! Biathlon the most watched winter sport in Europe, with hundreds of millions of viewers tuning into the annual World Cup race series. 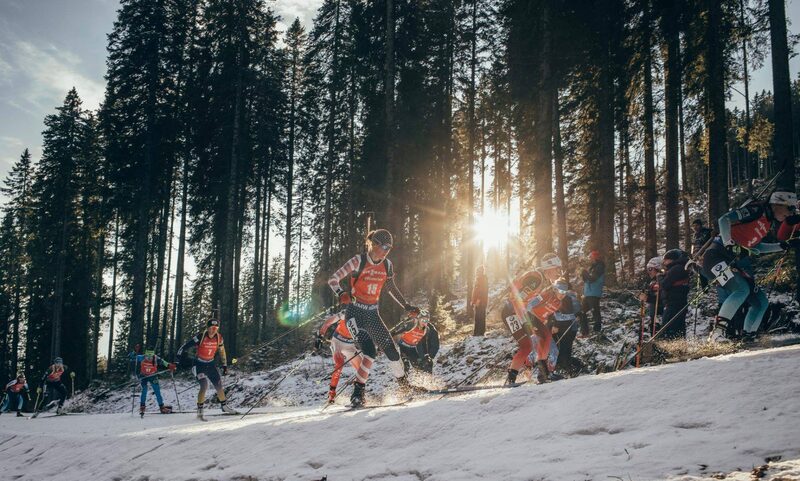 Biathletes race 6-20km on cross-country skate skis, lapping through a stadium 2 or 4 times, depending on the format, to shoot a .22 caliber rifle at five targets 50 meters away from the prone and standing positions. For each missed target, athletes have to ski an extra 150m penalty loop before heading back onto the course, resulting in a dramatic setback of about 25 seconds. In one format, athletes receive a 1-minute time penalty per miss. For more information, here’s A beginner’s visual guide to Biathlon by my former teammate and 2014 Olympian, Hannah Dreissigacker.